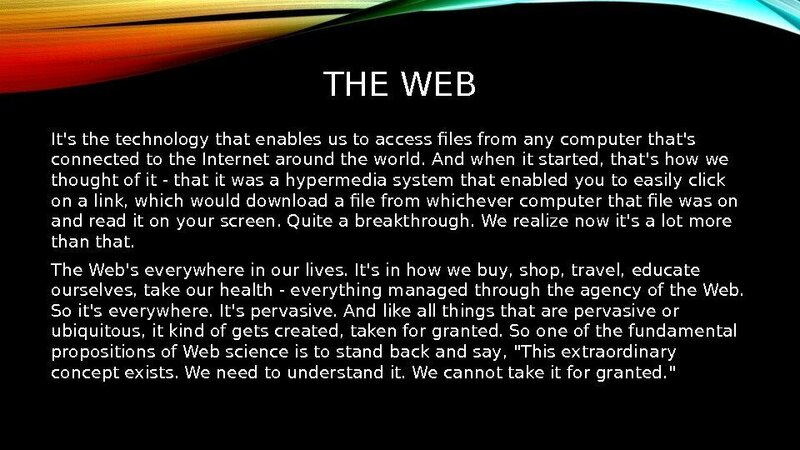 WHAT IS THE WEB? 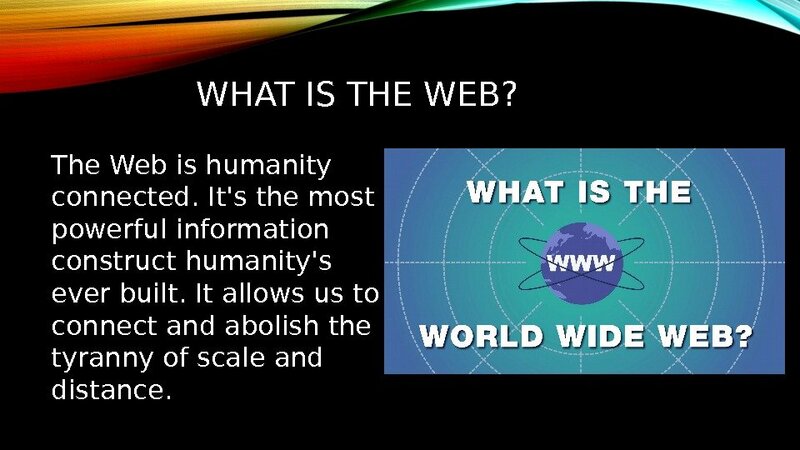 The Web is humanity connected. It’s the most powerful information construct humanity’s ever built. It allows us to connect and abolish the tyranny of scale and distance. 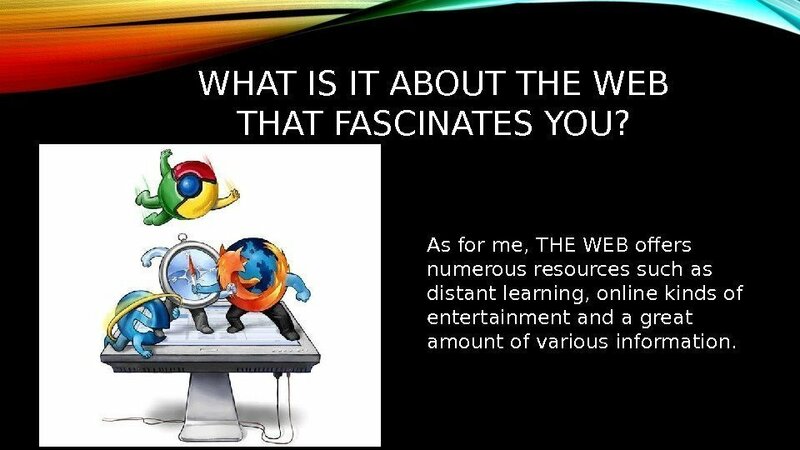 WHAT IS IT ABOUT THE WEB THAT FASCINATES YOU? 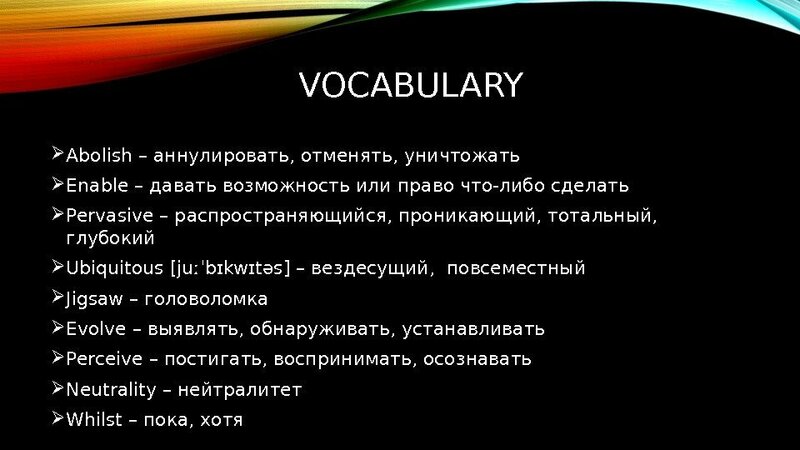 As for me, THE WEB offers numerous resources such as distant learning, online kinds of entertainment and a great amount of various information. 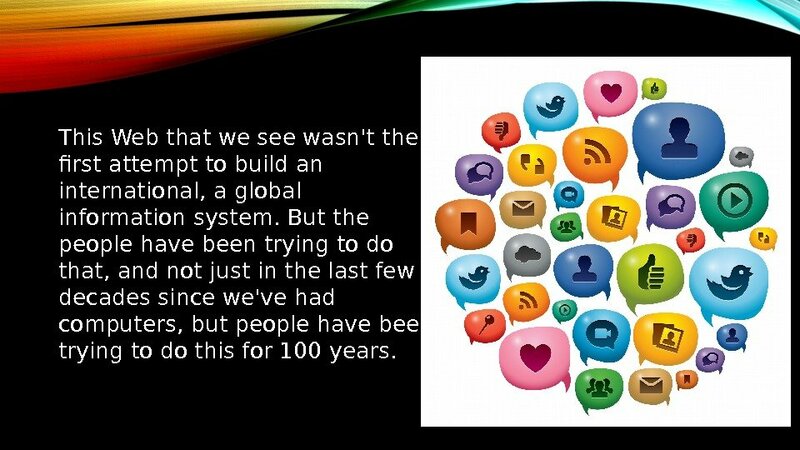 This Web that we see wasn’t the first attempt to build an international, a global information system. But the people have been trying to do that, and not just in the last few decades since we’ve had computers, but people have been trying to do this for 100 years. 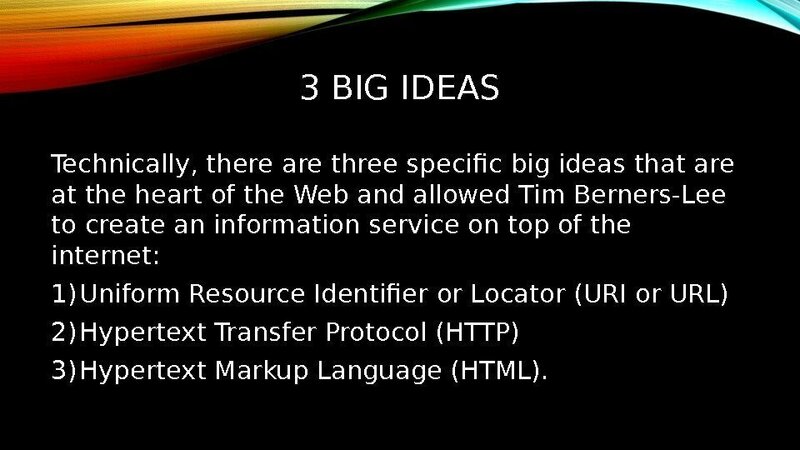 3 BIG IDEAS Technically, there are three specific big ideas that are at the heart of the Web and allowed Tim Berners-Lee to create an information service on top of the internet: 1) Uniform Resource Identifier or Locator (URI or URL) 2) Hypertext Transfer Protocol (HTTP) 3) Hypertext Markup Language (HTML). IS THE WEB FOR EVERYONE? 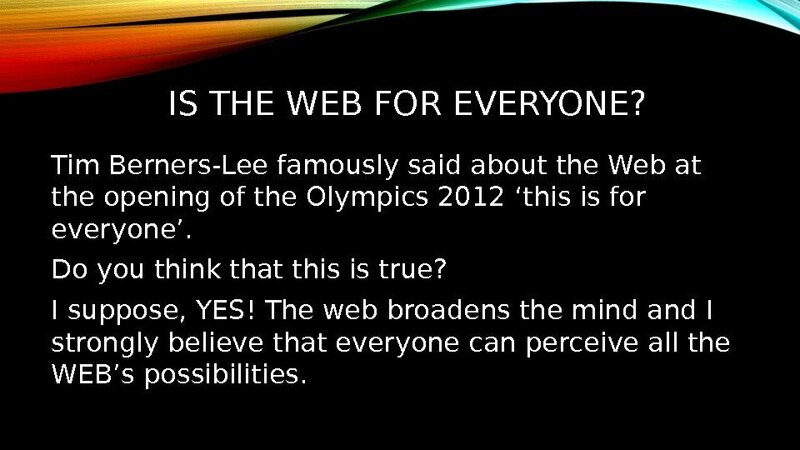 Tim Berners-Lee famously said about the Web at the opening of the Olympics 2012 ‘this is for everyone’. Do you think that this is true? I suppose, YES! The web broadens the mind and I strongly believe that everyone can perceive all the WEB’s possibilities. NET NEUTRALITY Net neutrality is a really important principle about the development of the internet and the development of the Web. 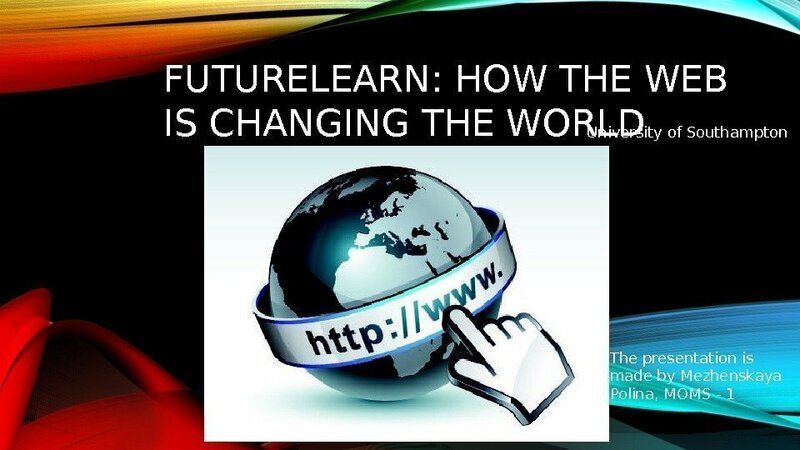 And it’s really a focus for thinking about what kind of Web do we want in the future. 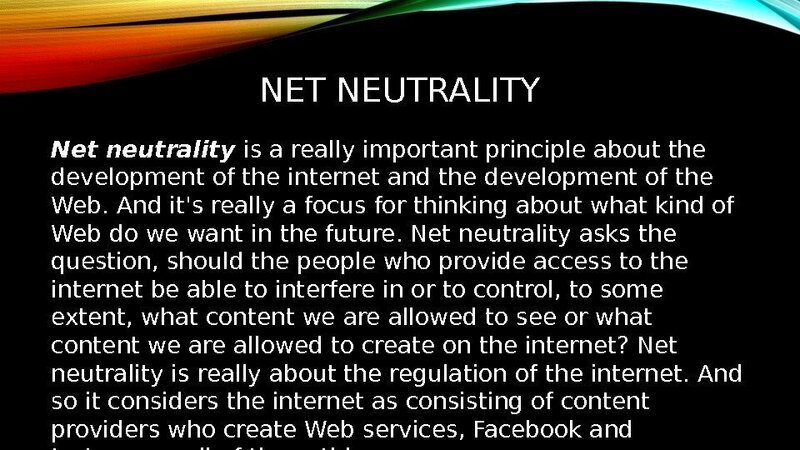 Net neutrality asks the question, should the people who provide access to the internet be able to interfere in or to control, to some extent, what content we are allowed to see or what content we are allowed to create on the internet? Net neutrality is really about the regulation of the internet. 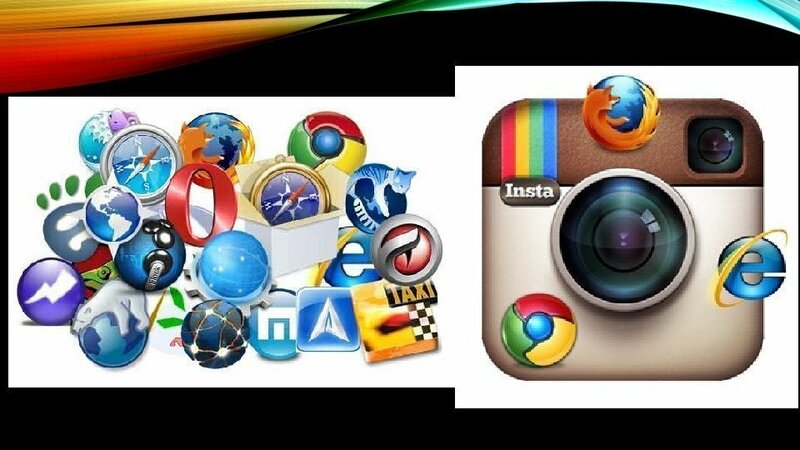 And so it considers the internet as consisting of content providers who create Web services, Facebook and Instagram, all of these things. 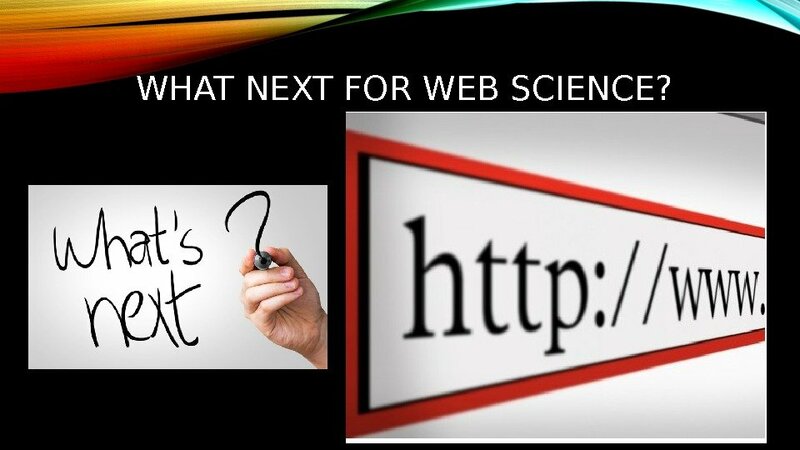 WHAT NEXT FOR WEB SCIENCE? So the Web I would like to see is a Web that I do experience. I think we all take from the Web those aspects we find delightful and surprising, that we find challenging and rewarding. One of the things that people often do in criticizing or misunderstanding the Web is imagine that it’s one big uniform experience, and what it is — it’s many different experiences. Everybody experiences the Web differently. One of the reasons that we are so passionate and excited about Web science is that we see there’s an absolute need to understand this system — how it’s evolving, how we affect it, and it affects us. What has happened with the Web is an experiment we can’t rerun. We can’t unknow what we know about having a global information system. 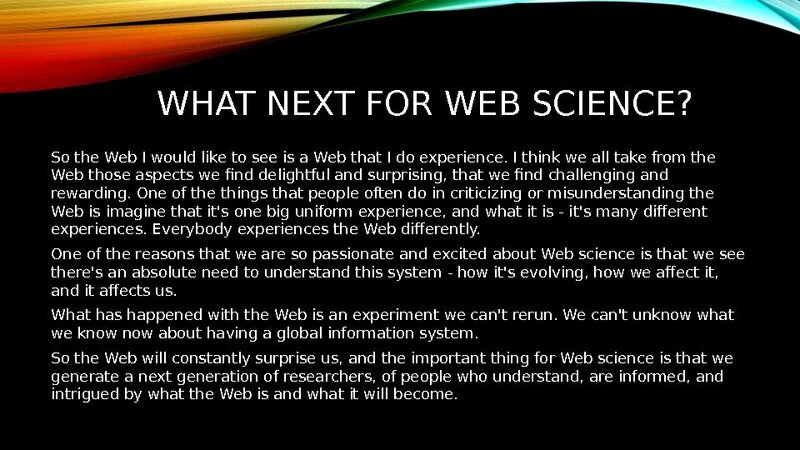 So the Web will constantly surprise us, and the important thing for Web science is that we generate a next generation of researchers, of people who understand, are informed, and intrigued by what the Web is and what it will become. 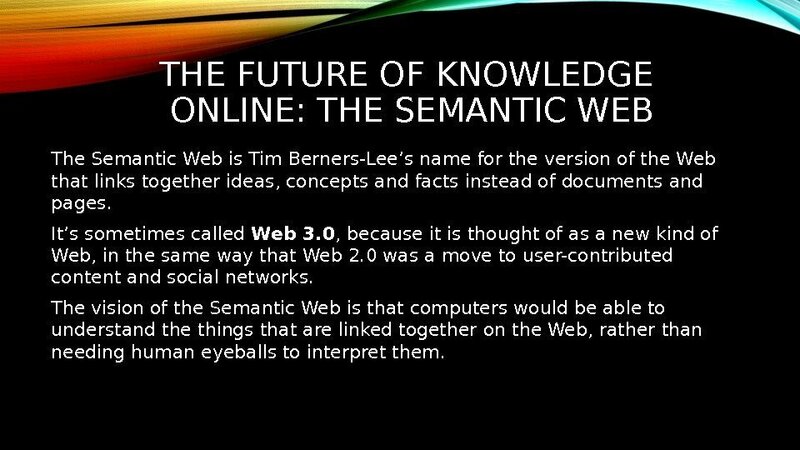 THE FUTURE OF KNOWLEDGE ONLINE: THE SEMANTIC WEB The Semantic Web is Tim Berners-Lee’s name for the version of the Web that links together ideas, concepts and facts instead of documents and pages. It’s sometimes called Web 3. 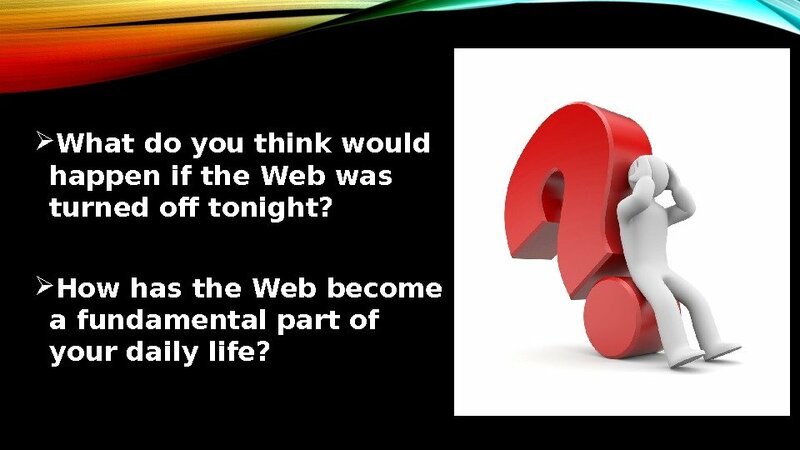 0 , because it is thought of as a new kind of Web, in the same way that Web 2. 0 was a move to user-contributed content and social networks. The vision of the Semantic Web is that computers would be able to understand the things that are linked together on the Web, rather than needing human eyeballs to interpret them. THE NEXT 5, 000 DAYS OF THE WEB. 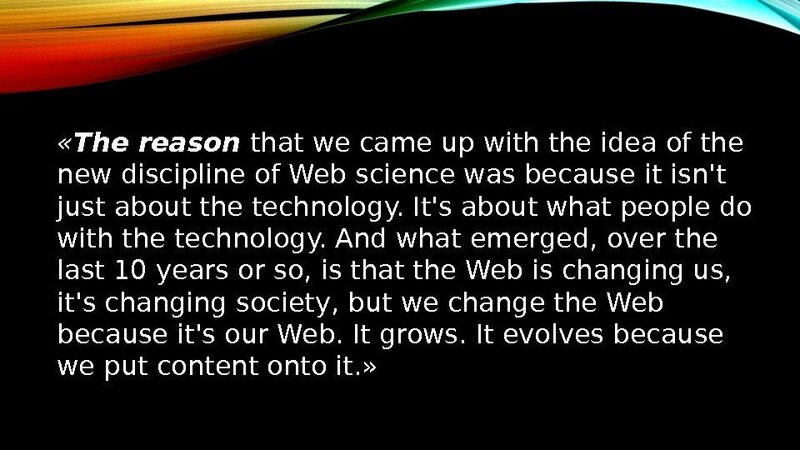 . . Kevin Kelly gave a Ted Talk called ‘ 5, 000 days of the Web’ at the end of 2007, about 5, 000 days after the Web started to become popular. 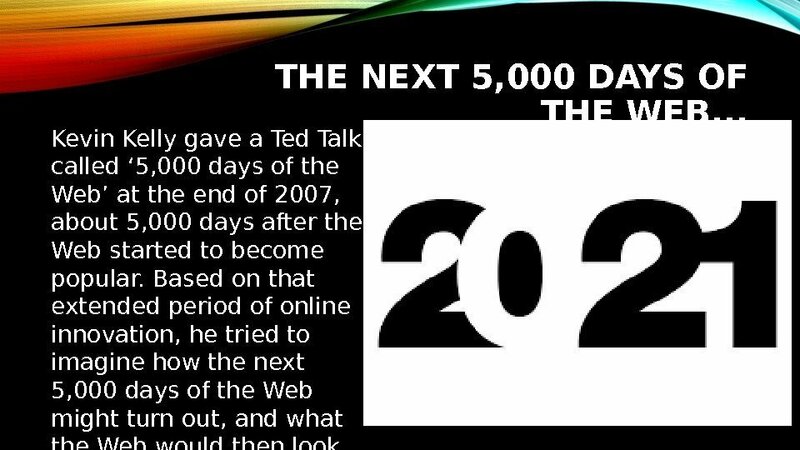 Based on that extended period of online innovation, he tried to imagine how the next 5, 000 days of the Web might turn out, and what the Web would then look like in 2021. 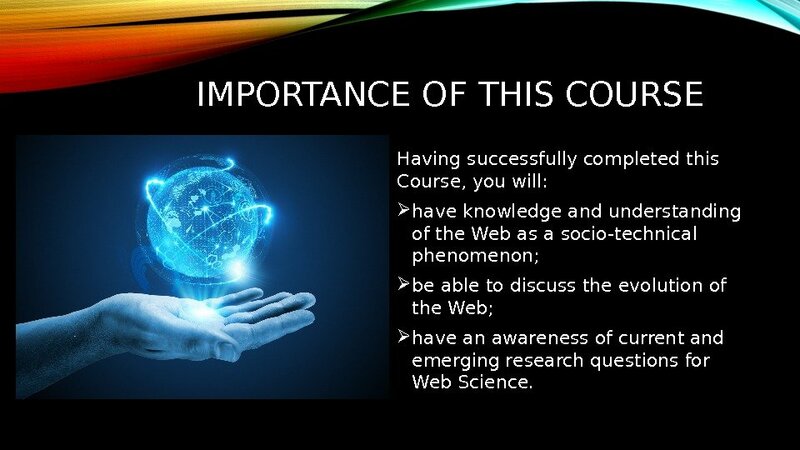 IMPORTANCE OF THIS COURSE Having successfully completed this Course, you will: have knowledge and understanding of the Web as a socio-technical phenomenon; be able to discuss the evolution of the Web; have an awareness of current and emerging research questions for Web Science. 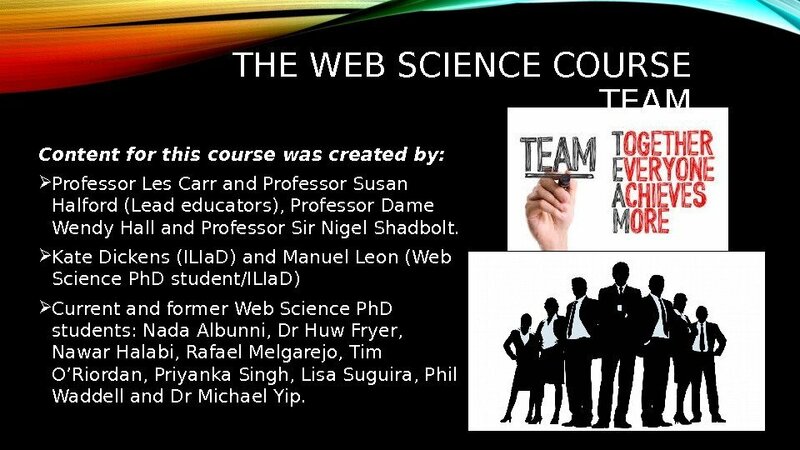 THE WEB SCIENCE COURSE TEAM Content for this course was created by: Professor Les Carr and Professor Susan Halford (Lead educators), Professor Dame Wendy Hall and Professor Sir Nigel Shadbolt. Kate Dickens (ILIa. 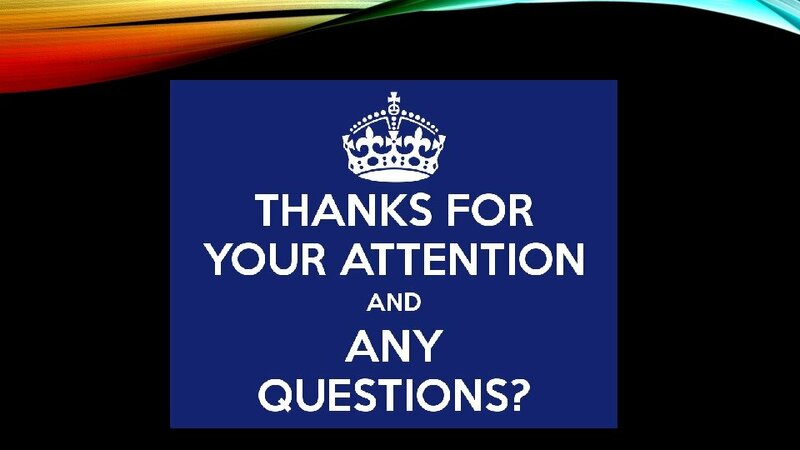 D) and Manuel Leon (Web Science Ph. D student/ILIa. D) Current and former Web Science Ph. D students: Nada Albunni, Dr Huw Fryer, Nawar Halabi, Rafael Melgarejo, Tim O’Riordan, Priyanka Singh, Lisa Suguira, Phil Waddell and Dr Michael Yip.